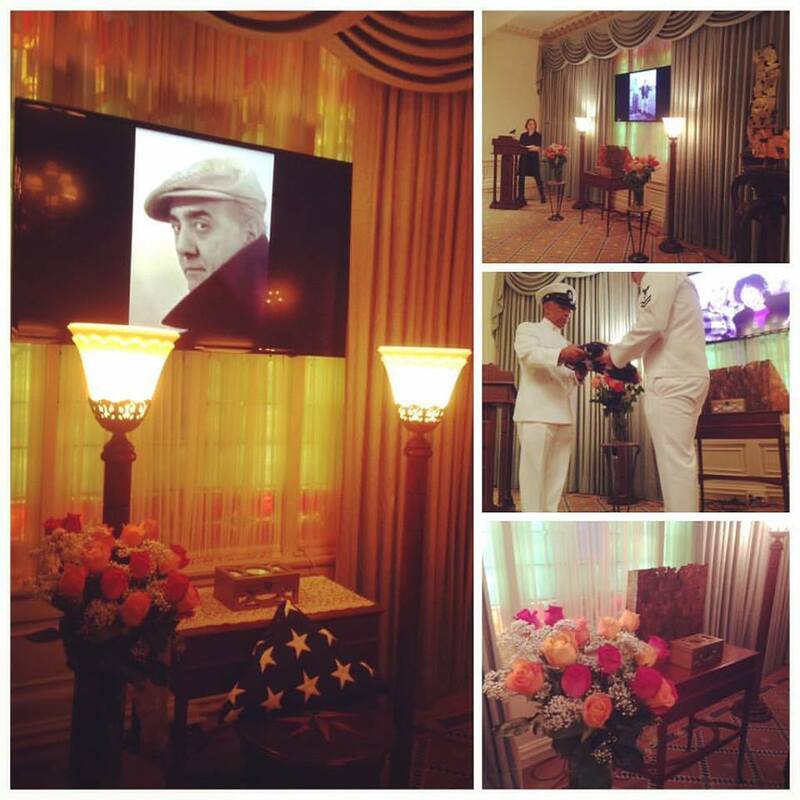 Last week I went to the funeral service for my friend Sal Romano. Sal made it to 90 and hung on for a week or so after before throwing in the towel. 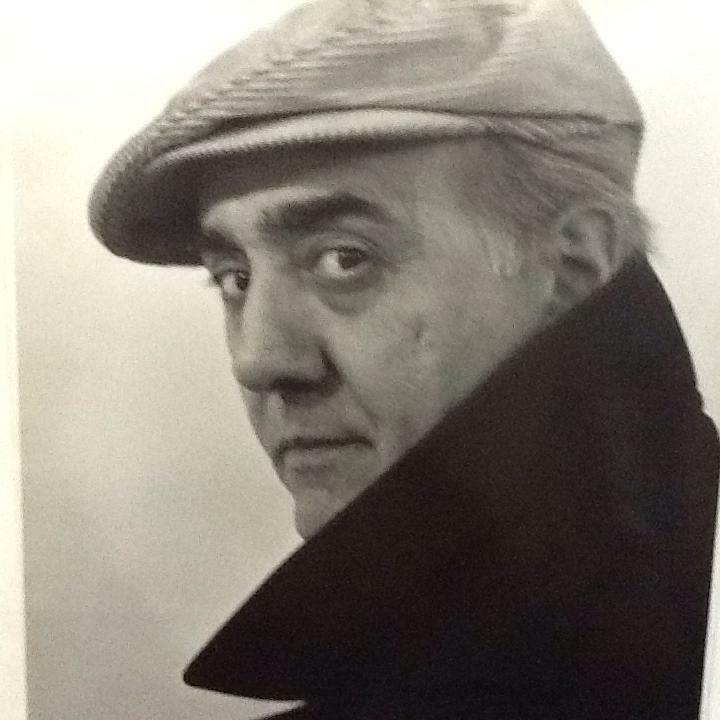 He was a kind, funny and talented man, and I will miss him, despite knowing him for only a few brief years. Sal was my friend Joyce’s dad, and I first met him at one of his New Year’s Day open house parties some ten years ago. I also saw a teacher I’d known at Pratt many years ago, Ted . Joyce’s boyfriend as an old classmate from NYU in turn recognized my wife Danusia. It is a small world indeed. When Sal discovered Facebook we became Facebook friends and had more interaction than just the once a year conversation we had for the first few years. This past year I was also enlisted by Joyce to help out in various small ways, as Sal and his Wife Connie were both aging and not in the greatest health. We got to know each other a little better in those brief moments. They were always fun and enlightening moments, and I was glad to be of help. The last time I saw him was sometime this past summer, when I brought my MacBook Pro over so he could show his work to a curator that wanted to exhibit some of his work. We did the work, and I was invited to the mandatory pasta and chicken lunch. Sal, being Italian was a great past aficionado, knowing exactly how al-dente he required his pasta to be. He was also a wonderful sculptor, working mostly in metal. I’ve included one of the pieces I photographed at his last show just over a year ago. That was a fun gathering, and most of these photos I’ve included here are from that event. Sadly, these others are from the funeral, I believe Joyce’s friend Camilla from Sweden took them. I borrowed them from her Facebook post. When I last saw Sal at the Wooster Street loft Connie was in the hospital, and it seemed she was the most ill. But Sal soon ended up in the hospital himself, and he never returned home. I did what I could to help out Joyce at the loft, and kept meaning to go visit Sal at Sloan Kettering. The one day I was actually about to board a bus I got an urgent text from Joyce saying not to go, he wasn’t doing good and was rushed to the OR for an emergency procedure. That was little more than a month ago. Then his birthday came, and Joyce told me he was no longer able to speak soon after. He couldn’t use his phone any longer, so there was no way to cheer him up via Facebook. Then on September 18th came the sad news, he’d passed away. Joyce is a truly amazing woman, she organized the funeral, let everyone know, put together a small gathering for afterwards all while monitoring Connie’s health. Ironically Connie was the one who made it home, albeit still ill and in need of 24 hour care. I don’t know if I could have handled all of that. 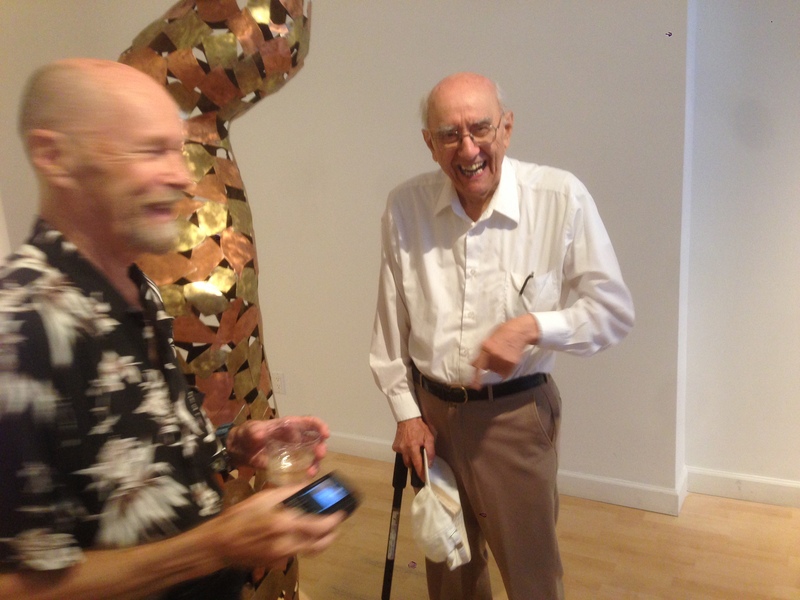 The funeral service was simple, just some slide projected onto a screen behind a table holding one of Sal’s small brass sculptures, an a podium besides where a half dozen or so of his closest friends (and Joyce, or course) told stories or honored Sal in some small way. Ted Kurahara spoke very eloquently about what it was to be an artist and to be Sal’s friend and Sal’s philosophy of art and life. Joyce told a very funny story about Sal’s forays into social media. When I was in the Army I had to practice for burial detail a few times, but we did the whole thing, 21-gun salute, a real bugler, and taking the flag off the casket to fold it. I still know how to fold a flag into a triangle. Afterwards we all went to one of Sal’s friend’s loft for a lunch, where we ate Sicilian dishes and I drank coffee as some others sipped wine. It was a nice collection of old guard Soho artists (Sal and Connie moved into their loft in the ‘70s) and their kids, middle-aged people like Joyce and myself. It was hard not to think of my own fatality, what once seemed like some far away event draws closer and closer each day I open my eyes. But I do know one thing; I will have as many loved ones surrounding me when the time comes as Sal did. 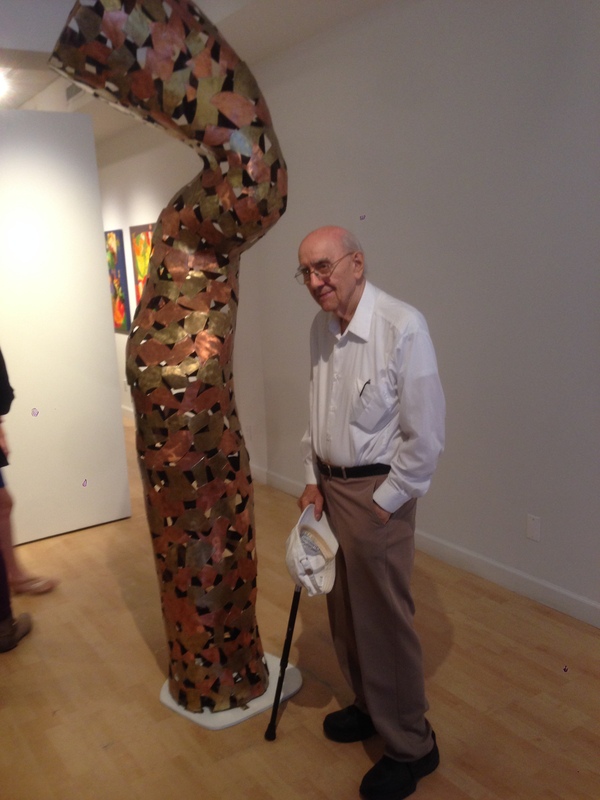 This entry was posted in Uncategorized and tagged acceptance, aging, burial detail, children, death, friendship, Love, parents, Pratt, Sal Romano, sculptor, social media, Soho, Soho artists, Veteran. Bookmark the permalink. I thought you’d say that. But then again I’m barely elderly.